Though the cheeses at Saxelby’s be confined to the good old US of A, we can’t deny that the inspiration for these fermented dairy treasures comes from locales both nearby and far flung. This week’s missive is devoted to the salty, foggy, verdant British Isles, where mountains, sheep, and literature all converge on the subject of cheese. How all this has wended its way behind the cheese counter of the Essex Market is an improbable whopper, but we’re bent on tracing it back all the same. We’d like to begin by paying homage to one of our favorite cheeses, Ben Nevis. Made by Neil Urie, a Vermont cheese maker of Scottish descent, this cheese takes its name from the highest peak in the British Isles. 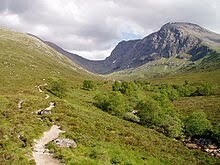 Literally translated, Ben Nevis means something to effect of ‘a mountain with its head in the clouds’ as most days the peak is surrounded by mist and fog. This shepherd could be said to have his head in the clouds; he’s one of the only people milking sheep in his native Northeast Kingdom. But as far as these mongers can tell, this little peaked sheeps’ milk tomme is one of the finest ovine cheeses in the country. Stop by the shop for a nibble in the next week before it bids us a fond farewell for the season! Mention this message for a 10% discount. Now, we all know that cheese and culture are inextricably linked. We’ve just taken the liberty of pushing it a bit farther than usual this week. A quick hop skip and a jump from the peak of Ben Nevis lands us in Ireland, home to many a venerable cheese, and to one of the twentieth century’s greatest writers and cheese enthusiasts. 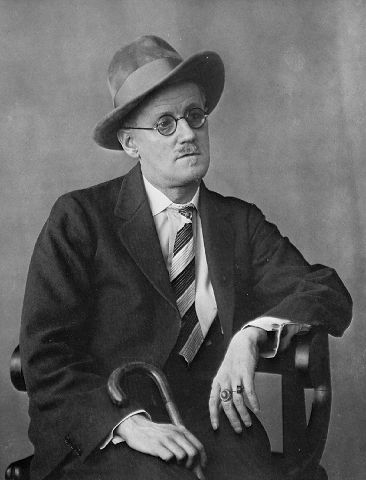 It may have been that James Joyce himself loved cheese, or it may have solely been the purview of his leading man, Leopold Bloom… Either way, cheese plays an un-ignorable role in the pages of Ulysses. Yesterday on Cutting the Curd, Saxelby’s weekly dairy dispatch on the Heritage Radio Network, I interviewed actor and playwright Patrick Fitzgerald, who graced the airwaves with his Irish brogue and spoke of all things cheesy that took place on Bloomsday. A true Joyce devotee, Fitzgerald managed to distill nearly all the cheese from the epic tome down to a few delicious snippets for our show. Tune in to hear an old fashioned half hour of radio… just like the serials from the days of yore, but with more talk of Dublin, cheese, and what’s for breakfast, lunch, and dinner. < What’s Gooey and Cheesy and Starts with a W?